Sikar is an important part of your Rajasthan, India itinerary offering a mix of history, archaeology, ancient temples and fortresses. Sikar can be easily reached from Jaipur (nearest airport) or New Delhi by road and the distance of about 250 kilometers can be covered in about 4 hours. If you are taking a road trip from Jaipur or Agra, you will also have the advantage of expressways (toll roads) and the distance of about 130 kilometers can be covered in 2 hours or less. Another option would be to travel by train from Jaipur which is about 100kms from Sikar. There are about 5 trains from Jaipur on a daily basis though advance reservations may be needed for a comfortable journey. You can also consider traveling by train by New Delhi to Sikar by train but that option is best suited to people who are looking for a relaxed style of travel. Fathepur, Nawalgarh and Jhunjhunu are the other important destinations within the Shekawati region of Rajasthan distanced by about 100 kilometers from Sikar. Sikar is more a part of your Shekawati region itinerary. The entire region is sometimes called the ‘Open Art Gallery’ because of its wealth of crafts, architecture and traditional arts. Much of these belong to the 18th and 19th centuries when Rajasthan was at its height of glory. One of the most glorious and beautiful forts in India is the Jaisalmer fort which is located in the heart of Rajasthan in Jaisalmer city. It is also known as the Sonar Kila or the Golden Fort as it is made of yellow sandstone which exudes a brilliant yellow radiance during the day time. It was built in the year 1156 by a Rajput ruler known as Rawal jaisal. 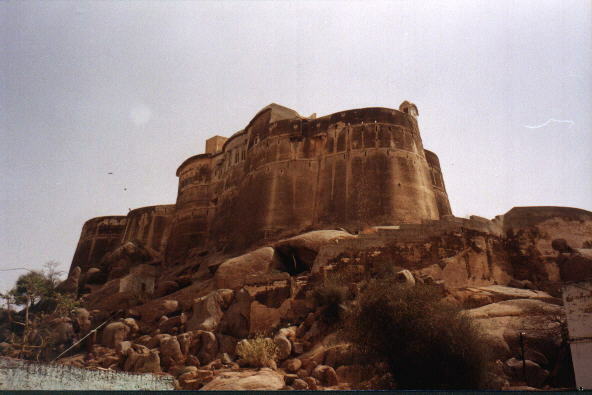 The fort is built on the Trikuta hill which is 80 meters high and surrounded by a wall of 30 feet. 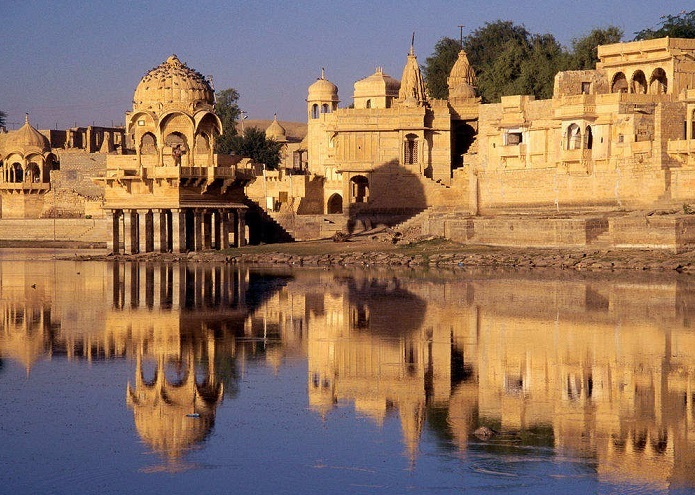 The Jaisalmer Fort is based on Rajasthani architectural patterns and designs. The entire structure consists of five storeys and three walls. Stone blocks were used to build the outer layer of the walls. There are basically four entrances to the Fort which are quite popularly known as the Hawa Pole, Aksya Pole, Suraj Pole and the Ganesha Pole. The size of the Fort is one of the major attractions for tourists around the world. Sawai Madhopur in Rajasthan, India, home for the renowned Ranathambore National Park, is among the largest adventure parks India has on offer with a wide array of adventure sports, roof top restaurants, horror house, carnival games, horror house, bungee jumping, running bungee, paint ball, water wars and more. In recent times, corporate house have taken keen interest in this destination giving it the status of a sought after training destination too. So, that is training on the lap of Mother Nature, with plenty of fun time thrown in. Rajasthan, when translated means the seat of Kings. 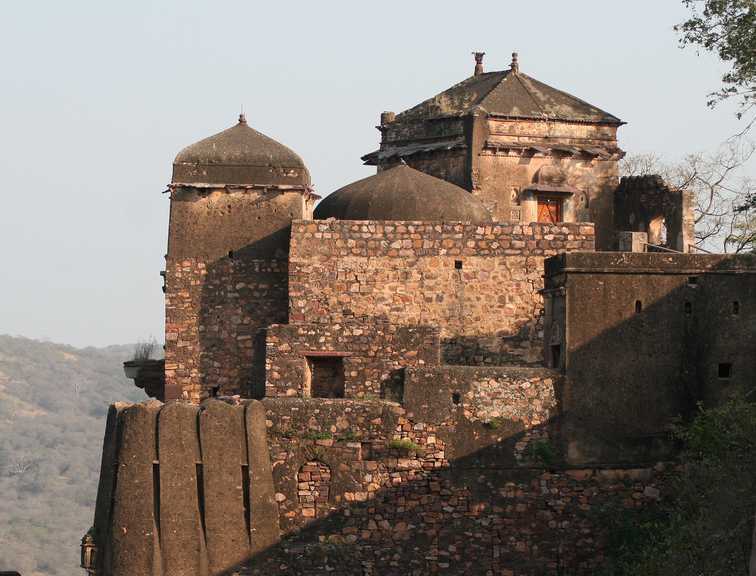 True to its name, in most parts of the state that you choose to travel, you will be treated to centuries old architecture, a world of fresco paintings in nearly every fort, palace and havelis (residence of rich joint families) converted to residences. Above all, you will enjoy vibrant colors, be it on the garments, paintings, the buildings, your hotel interiors and nearly everywhere you go. You will also be treated to a wide range of lac bangles that are not just beautiful but also affordable. Welcome to Sawai Madhopur and in the following pages, we will describe some of the most enchanting attractions and places to visit around Sawai Madhopur.